Update on Staffing for the 2018-19 school year – We received our staffing information for next year and due to a change in how PPS does it’s staffing for K-5 students and 6-8 students, we are required to cut 1.25 FTE for next year. We will be cutting our 2 educational assistant positions, as well as reducing our school secretary position down to 0.5 FTE. We are also cutting our Literacy Coach position. This year, Ms. Ferguson was ½ time 8th grade language arts/7th grade health and ½ time Literacy Coach. Ms. Connelly was ½ time 7th grade language arts and ½ time 7th and 8th grade Spanish. Next year, Ms. Ferguson will be back in the classroom full time and Ms. Connelly will be teaching Spanish half time to our 7th and 8th grade students. We are also making a change on how we use our 0.5 FTE Arts tax funds. As you know, we have had an art coordinator position for the past several years that has been paid for out of PTSA funds. As the PTSA can no longer fund the position in the same manner as it has over the past few years due to district and PTA rules, and PPS is requiring that we have a certified Art teacher teach art, we will be using the Arts tax funds to hire a 0.5 FTE visual arts teacher. This means that we will no longer be able to offer K-5 music. As for visual arts for students in grades 6-8, we are still working on those details and we will share this information with our community once we have the details finalized. MAC ATTACK Info - (Make Art Count) school wide jog-a-thon fundraiser. It is time for MAC ATTACK! 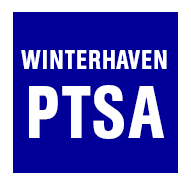 Winterhaven will be participating to raise funds to enrich our curriculum. Your child will be bringing home their sponsor sheet by Friday March 16. Please read all the information on the MAC ATTACK sponsor sheet. A parent signature is required in order for your child to participate. See front of form. Please fill in a T-shirt size for your child as well. Your children may earn a T-shirt. The students must earn a total of 30 points. 2 points for each paid sponsor and 1 point for each lap completed. There will be other participant awards, grand prize winner awards, as well as class awards. Sponsors can be collected immediately. Your child should ask for sponsorships only from family, friends and neighbors with whom they are familiar. Do not permit your child to sponsor another child. Thank you for all your help and support. Here’s to another outstanding MAC ATTACK! School Year 2018-19 Calendar – The calendar for the school year 2018-19 has been approved by the School Board. It can be found by following the prompts on the following link: https://www.pps.net/Page/2#calendar1/20180308/month. It is also attached to this email (as an attachment). 2018 Winterhaven Chess Academy -This is a great opportunity for beginning students to learn the fundamentals of chess and quickly improve their play. It's primarily geared for K-3rd graders, but anyone can attend. They will learn how the pieces move, basic strategic ideas, and the principles of opening and endgame play.